Tapping Scripts For Weight Loss & Anxiety: Do They Really Work? The idea of using EFT tapping scripts for weight loss or anxiety may sound too good to be true, but many people have had success by doing exactly that. In fact, in the book, The Tapping Solution for Weight Loss & Body Confidence, Jessica Ortner shares the stories of thousands of women who lost weight and learned to accept and love their bodies using EFT. Now, keep in mind that just using tapping scripts for weight loss won’t make extra weight magically disappear. It will take more than just tapping, but the tapping can really help you get free from any negative thought patterns that may be going on subconsciously, that perhaps have been causing you to overeat or reach for unhealthy foods. You know, those thoughts that have you thinking that you’re not good enough? That you’ll never find happiness? That you’ll always struggle? It’s precisely those negative types of thoughts that EFT targets and works on changing. 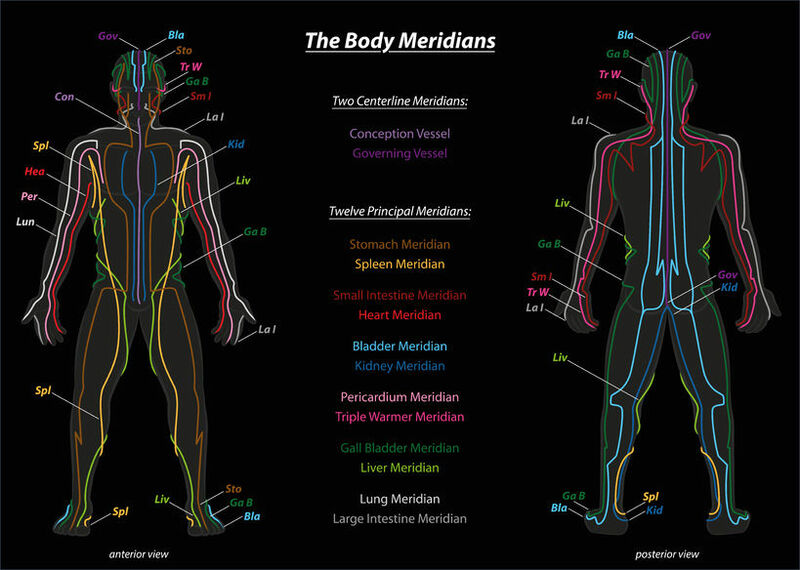 EFT is a technique that uses the Chinese meridian (or energy) system to help heal emotional problems at their root. Have you heard of acupuncture? EFT is essentially “emotional acupuncture” and is gaining much recognition because it simply works. Gary Craig developed EFT more than 20 years ago, as he began a mission to teach people how to overcome their emotional and physical issues that held them back from success. He has spent his life teaching EFT and has helped many people find emotional freedom. To engage in EFT, you simply use your fingers to “tap” certain meridian or energy points on your face and body and this allows energy to flow freely through the areas, reducing or eliminating emotional issues at the source. Scientists agree that at our very core we are made up of energy and many doctors will tell you that physical problems originate with emotional issues. In fact, Dr. Eric Robins states that about 85 percent of illnesses are caused by unresolved emotional issues. The Chinese have used acupuncture to treat and heal emotional issues for centuries. 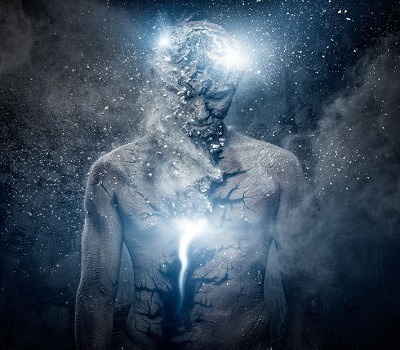 EFT is essentially utilizing the same theory- that pressure applied to the main energy meridians causes blocked energy to become clear so that positive energy can flow freely. EFT is used to treat a variety of emotional and physical issues. Many have used it on themselves or with an EFT practitioner to be freed up from negative emotions like fear, depression and anxiety. People also use it to work on changing negative thought patterns that may be at the root of various addictions, such as food. Over the years, plenty of old wounds can pile up in the energy system, causing you to feel a range of negative emotions. Not working through pain or trauma can create energy blocks and faulty thought patterns. Even when things are going great in life, some people find it challenging to feel a real sense of joy. They may read some books or listen to something encouraging every so often, but they still feel stuck. 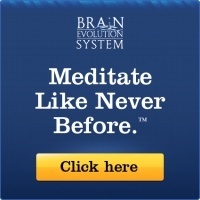 This is one reason some are turning to energy psychology and meditation today. EFT works under the assumption that every negative emotion disrupts your energy system. For example, think of a child that represses their emotions rather than expressing them. They may do this year after year and not really notice any consequence until they are an adult. But eventually repressed emotions or emotional pain catches up to you. And then, you’ll have to decide to work through them or continue to live in emotional misery. A friend of mine began using EFT when she was feeling very anxious. She wasn’t necessarily going through a tough time, but every day she felt on edge and said she felt like her nervous system was on fire. Learning about EFT for anxiety from a friend, she started practicing it every day. Her symptoms of rapid heartbeat, fear, hypersensitivity, etc. she was experiencing would decrease or disappear as she practiced. She stated that tapping on her energy meridian points while mentally tuning into some past experiences that she felt created her anxiety helped her to finally process her pent-up emotions and release them. After a tapping exercise of say ten minutes, stating key EFT phrases like, “Even though I feel anxious, I completely love myself”, her body and mind would be calm. To her, it was a miracle. Along with tapping your energy points, you say a script that helps you identify with the emotion that you are feeling. For example, if you’re feeling anger, your script will include “anger”. If you’re feeling shame, your tapping script will include “shame”. When learning EFT, you can simply listen and watch others and repeat what they are saying and doing. It’s not difficult at all. 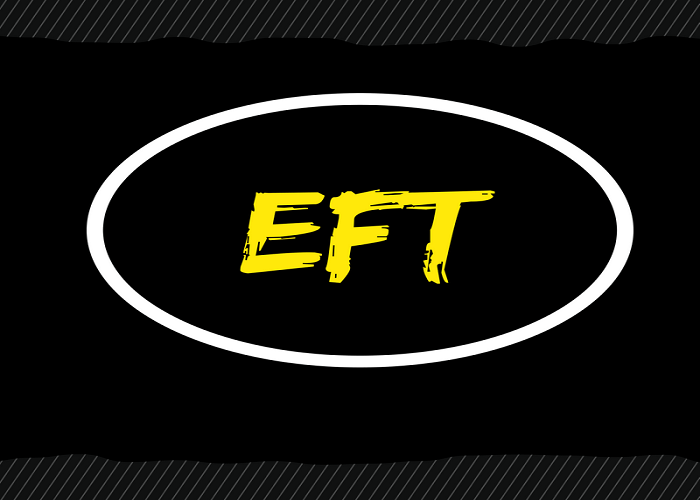 In fact, EFT is quite easy to learn to use on yourself and to help others. Scientific studies indicate that EFT done regularly can reduce stress, anxiety, and depression. For example, in the Journal of Nervous and Mental Disease in 2016, a meta-analysis was published stating that after looking at 14 different EFT studies that the treatment led to a “significant” reduction in anxiety scores among those who reported psychological distress. And, in Medical Acupuncture, it states that EFT helps regulate stress hormones and increases limbic function. Our minds and bodies are not meant to be full of pain. We are meant to walk in emotional and physical freedom. 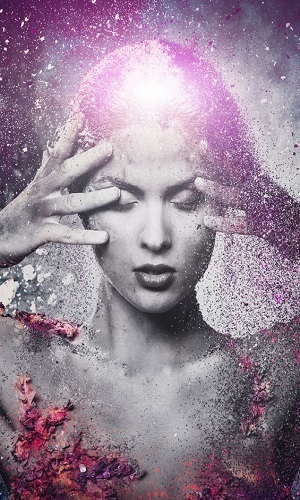 Energetic imbalances can become balanced through modes of healing techniques like EFT, meditation, and Reiki. You really can go from mentally tormented to emotionally free with a firm commitment to doing whatever it takes to get there. You must make the intention to become free. If you’re only halfheartedly trying, you might not experience the changes you desire. Do Tapping Scripts Work For Weight Loss? If you’re struggling with weight, using tapping scripts for weight loss can certainly be beneficial. Note that the tapping scripts will work with some of the core faulty thoughts going on, but may not get to the very core issues. This is why some people will try tapping, find that it works for a while, and then later those faulty thoughts come back, kind of like weeds pop up over time. This is why many will recommend using tapping scripts for weight loss, but also suggest seeing a professional therapist that may help you dig even deeper to contend with any trauma or core issues. It’s tapping on the specific tapping points on the body and repeating phrases like this that can unblock stuck energy and cause a re-wiring of certain neuropathways in the brain. To answer the question, “Can tapping scripts help for weight loss?”, the answer is absolutely. ​What If the Tapping Scripts Aren't Working? There are some people who try pre-recorded tapping scripts, but don’t really get the results they’re looking for. First, if you’re listening to a particular tapping script by someone, that person doesn’t really know you, so the script is somewhat general. For example, let’s say you’re listening to a tapping script for fear. The script author doesn’t know you in terms of the exact nature of how you picked up that fear. They don’t really get to work with you to dig down to uncover the true roots of that fear, so you never get to address the real cause of the fear; only the symptoms. Second, a general script can’t assess how you’re doing and modify the script as you go along. If you find yourself in a deeply emotional state, the pre-recorded script can’t gauge that and take you through that deeper emotional state like an EFT instructor can. Third, a general script simply stays on the surface level. Whether you’re dealing with fear, depression, weight loss, or anxiety, an automated tapping script won’t necessarily work like magic and cure you in five minutes. Oftentimes, deep level healing takes time and an EFT instructor to peel the layers back and really contend with any unresolved traumatic experiences. This can be challenging to do on your own. So, if you find yourself tapping and not getting the results you’re seeking, you might want to consider taking an online EFT course or working one-on-one with an EFT instructor. The individualized, unique approach to your situation will make a sizable difference. Many find wonderful results working with an EFT instructor when they desire to get free from negative emotions, lose weight, heal old trauma, and so on. It’s actually the best way to utilize the healing power of EFT. However, if you’re unable to work with an instructor right away, you can learn EFT on your own by reading or watching some videos on the topic. There will be some variation in the scripts that people use, but you should find that they are quite similar. The one thing they will all have in common is the location of the tapping points on the body. In addition, educational sites like The Tapping Solution are excellent for getting you the breakthrough you desire. ​It’s common for beginner students to start tapping on their own with online tapping scripts, but many opt to practice with an EFT instructor or purchase an online EFT course. The simple reason is that listening to a pre-recorded tapping script is not as effective as working personally with an EFT instructor or taking an online EFT course, where you can ask questions and be guided by an EFT professional. That being said, results will vary from person to person based on factors such as how often it is practiced, type of issues their dealing with, emotional intelligence, and more. While EFT can benefit those seeking help for things like anxiety, weight loss, depression, etc., it should not replace mental health treatment for those struggling with mental health issues. It can be used in addition to mental health treatments, but not as a substitute. In addition, consider adding other healthy measures like a healthy diet, regular exercise, meditation, mindfulness, prayer, and so on to deepen your own mind-body connection. And, as mentioned, consider taking your EFT experience to a more individualized, deeper level by participating in an online course or working with an EFT instructor. Here’s your permission to begin a new journey to emotional freedom. After all, you deserve to experience freedom, abundant love, and joy. Becoming Limitless by Mindvalley Review: Is This Course For You?